It’s been a little bit since we gave a development update – I wanted to share the current status and our plans for Starbound over the next few months. We started working on update 1.4 and the bounty hunting system late last year. We developed our planned systems and gameplay elements, and spent a long time trying to integrate these new features into the game in a way where they didn’t feel tacked on. After a lot of discussion and experimentation, we came to the conclusion that the bounty hunting, while really fun and exciting in concept, didn’t really feel like it complemented the rest of the game and felt like more of an ‘attached feature’ instead of an enhancement. For now we’ve made the decision to put it on hold – ultimately we don’t want to release an update which doesn’t meet our standards for excitement and fun. 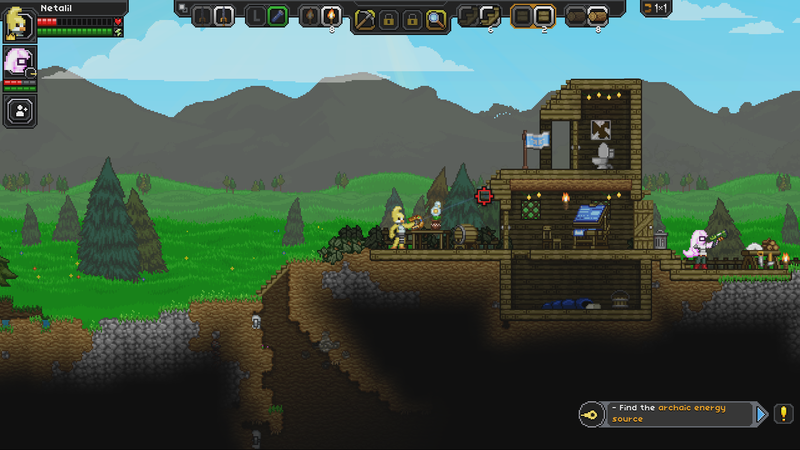 You may have heard news we’ve been showing off Starbound on Xbox at some events over the past few weeks. It was featured at a press event at GDC in San Francisco, and soon after in London. Just this past weekend we had our first public showing in the [email protected] room at EGX Rezzed in London. It was great to meet so many players and talk to them about our game! Watching players get their hands on it has been extremely valuable for us, and we’ve been working on making the final adjustments before we feel it’s ready for release. Porting the controls to console has been a huge task, and has required us to develop some radical UI changes. We’ll provide some specifics on those changes and a date when to expect that very soon! The bounty update has taken a little longer then we’d planned. We’ve decided to deploy some of the content we’ve been working on in a smaller patch. This update will primarily be some fun things players can play with while we finish up 1.4. We’ll be able to share more in the next few weeks about what’s included and when to expect this new content. Here’s a preview of a new themed furniture set! I’ve been working on the Starbound Wiki for a long time (it will be 5 years old in a few months). In that time it hasn’t really changed how it looks, and has needed a visual refresh for a while. So I’ve updated the wiki’s default theme! Feel free to give feedback on the design, it’s a wiki after all so things can be changed to best meet what’s going to work for our players. It’s also a huge wiki – so if there’s a page that doesn’t work in the new format well please report it! I expect that there will be some areas with formatting issues which will shake out the next few weeks. I’m sure there are players who have been using the wiki for years and don’t like the change. Sign up for an account, go to ‘preferences’, and under the ‘appearance’ tab select ‘MonoBook’. This will allow you to use the old theme – which is still fully intact, but is no longer the default and what non-logged in users see. But as long as you’re logged in you’ll see the old design. 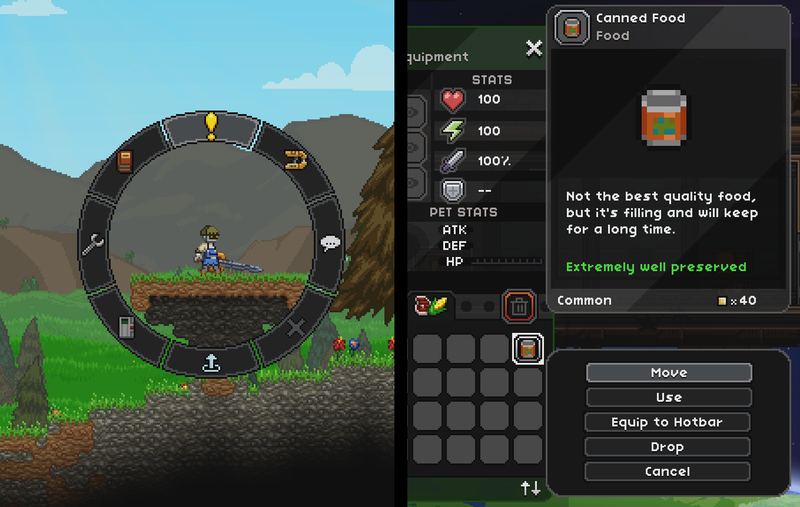 We announced Starbound was coming to consoles a while ago, and the team at Blitworks have been doing really amazing work. We’ve been playing it on the Xbox in our office, and while a lot of things have needed adjustment to get it working just right for consoles, we’re very nearly there. We need to clear a few more things through testing before we can confirm a date, but we should be able to make an announcement soon. Here’s a preview of some UI changes which have been made for the console version. Feel free to leave comments on the forums and stay tuned for more updates soon. Until next time!! Evening, everyone! I’m excited to announce that Poptop plushies exist now, thanks to the great folks at Game-Legends! Poptops look harmless and generally enjoy prancing around meadows while whistling sweet-sounding melodies, but they really don’t like adventurers invading their personal space. They were first designed by Starbound community member TomServo for the Monster Monster Contest all the way back in 2012, and have since become one of Starbound’s most recognizable monsters! 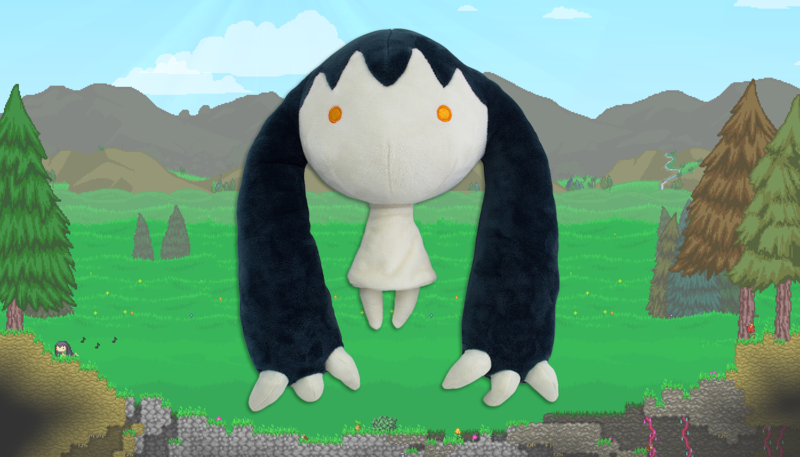 We’ve had requests for plushies ever since, and we’re super glad they’re finally a thing. These Poptop plushies are adorable and soft and whistle when you press their left paw. It’s like having a Poptop in real life, but without all of the dying!